Maple Lawn, MD | February 19, 2017 Offit Kurman is pleased to announce today that Scott Lloyd has joined the firm’s office in Columbia, as counsel. Mr. Lloyd is one of several lawyers to affiliate their practices with Offit Kurman in February. 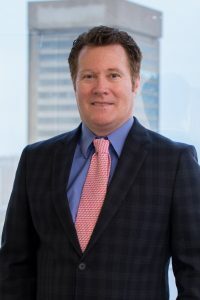 His colleagues in Maryland include a team of attorneys with experience in diverse legal service areas, as well as several members of the firm’s founding team and management committee. Mr. Lloyd is a corporate lawyer with ten years of experience as a consultant and general counsel for small and mid-sized companies. His technical background spans multiple industries from biotechnology to pharmaceuticals to medical devices to food science to chemistry to sports technologies, and his business background is applicable to many more. He is experienced in corporate matters and has been registered with the USPTO for over twelve years, representing clients directly and through outside counsel in patent and trademark matters. He has developed a passion for working with startup and small business owners and his mission is to provide affordable legal and consulting services to firms on a budget by keeping overhead low and specializing in developing high-touch relationships with his clients. To learn more about Scott Lloyd and to get in touch with him, please visit his attorney page. More information about Offit Kurman’s comprehensive legal services can be found here. For details and directions to Offit Kurman’s office in Columbia, click here.